Yes it is finally here! 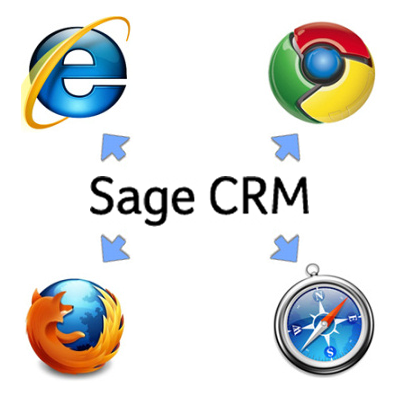 You can run Sage CRM v7.1 SP2 on Google Chrome, Mozilla Firefox and Apple Safari browsers. With the increasing number of users on these browsers you will be delighted with some of the new features with Sage CRM v7.1 SP2. From the new date picker to screen capture and spell checker you will find lots of positive additions to that will enhance Sage CRM experience with your favorite browser. New Date Picker in Sage CRM v7.1 SP2. Ability to upload multiple files simultaneously in Google Chrome and Firefox. Allows you to spell check as you type. Use tools like Screen Capture (by Google) which allows you to create a quick screen grab, scribble on it and save or send to who you like. One of the more noticeable functions with the cross browser compatibility is performance. Since Sage CRM is using GWT (Google Web Toolkit) technologies on the Interactive Dashboard, users will find Google Chrome loads the Interactive Dashboard much faster than Internet Explorer. Interested to learn more? Watch the What's New in Sage CRM v7.1 SP2 video and see for youself the new exciting features.